In a flurry of black and white, a small flock of magpie geese rise gracefully into the sky, surprised from the water as our boat skims over the Mary River floodplain just 5km from Australia’s northernmost coastline. Long reedy grasses sway in the waters that have engulfed the land. In summer, the rains transform this part of Australia turning the normally dry and dusty country into a lush paradise of colour, heat and life. The memory of my first visit to Australia’s Top End (the northern part of the vast Northern Territory) in “the Wet” is as clear today as it was then. What sticks in my mind most – apart from the grace and beauty of the birdlife and wildlife – was the dazzling green in what is usually considered a harsh barren part of the country. To Aboriginal people, the magpie geese are bamurru and it is these birds that give their name to the place that was my base for a few days: Bamurru Plains. 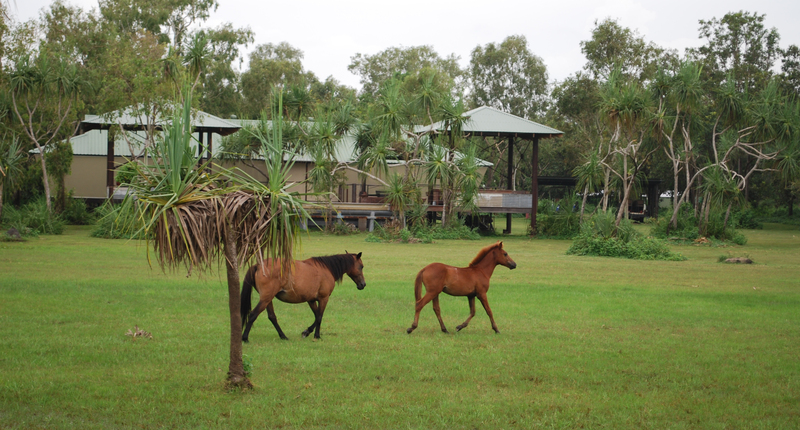 Bamurru Plains is a luxury bush lodge on Swim Creek Station, 10km from the western entrance to Kakadu National Park. Three walls of each cabin are one-way screens, ensuring privacy while allowing a clear view of the floodplain beyond. One sultry afternoon – too hot and humid to venture far – saw me dozing over a book in my bungalow until woken by a noise. Through the airy screen, it was almost dream-like to gaze out on a brumby mare and foal gracefully cantering through the water outside. 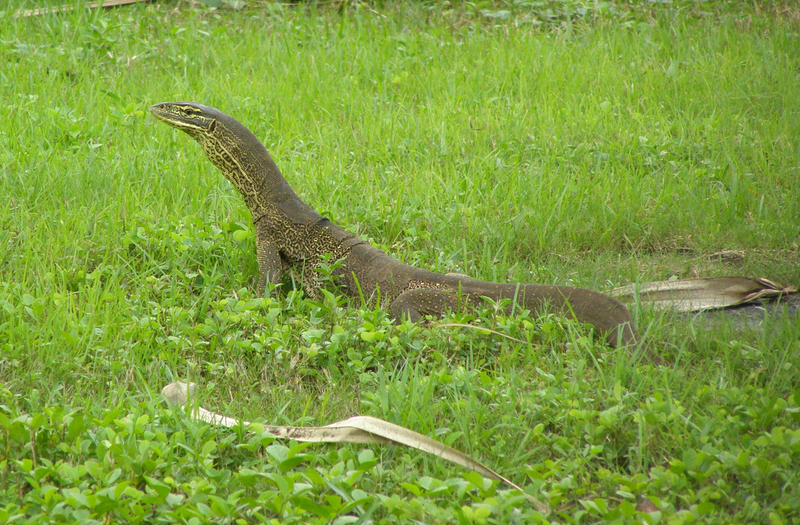 When I walked outside, movement in the grass revealed a large floodplain monitor lizard foraging for insects. Agile wallabies grazed nearby; here, the passing parade of wildlife seems never-ending. 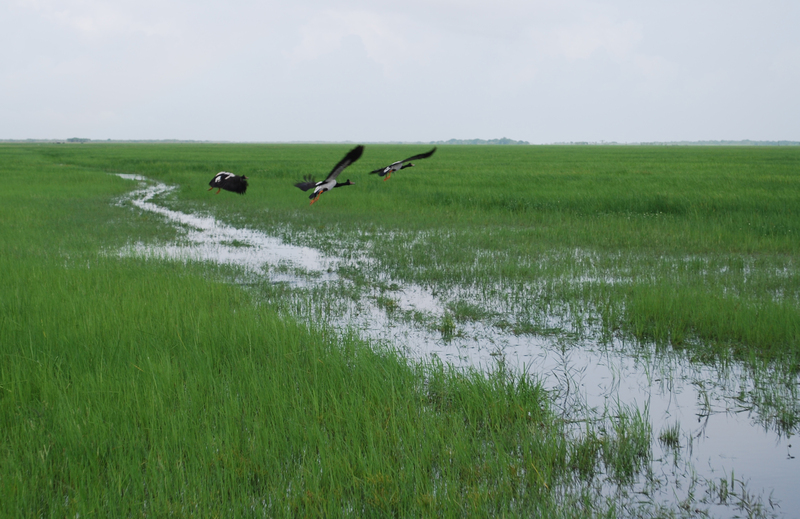 The next day, we skimmed across the floodplain on one of the lodge’s airboats. 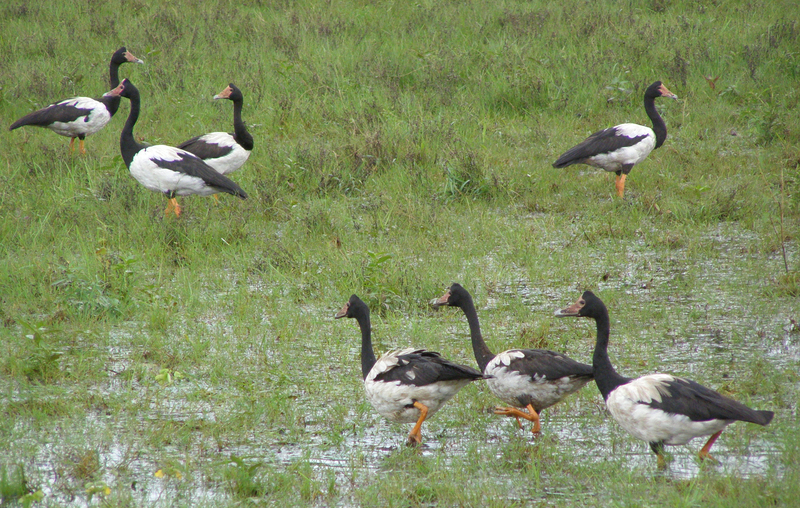 The floodplain was alive with birds. 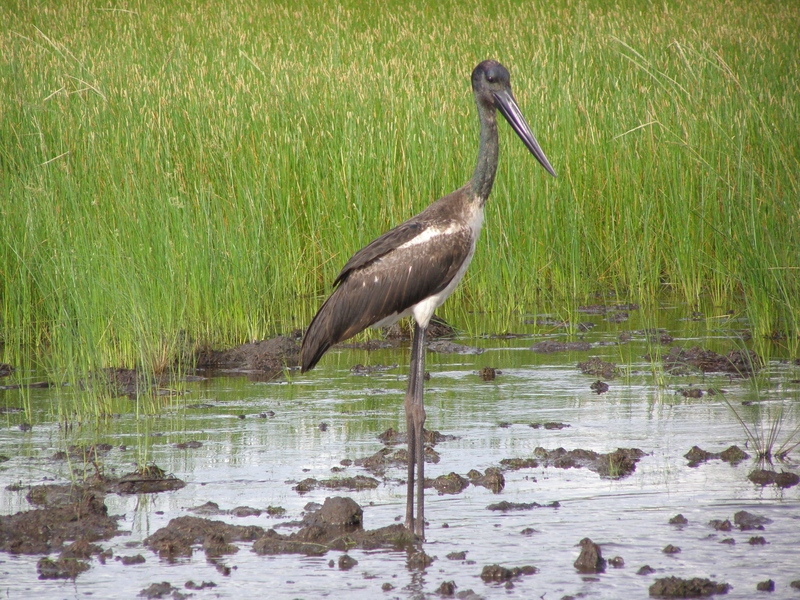 We spotted herons and a juvenile Jabiru, idly picking food from the water untroubled by a small crocodile nearby. Tiny jacanas – or “Jesus-birds” – skipped across lily pads (too fast for my camera). 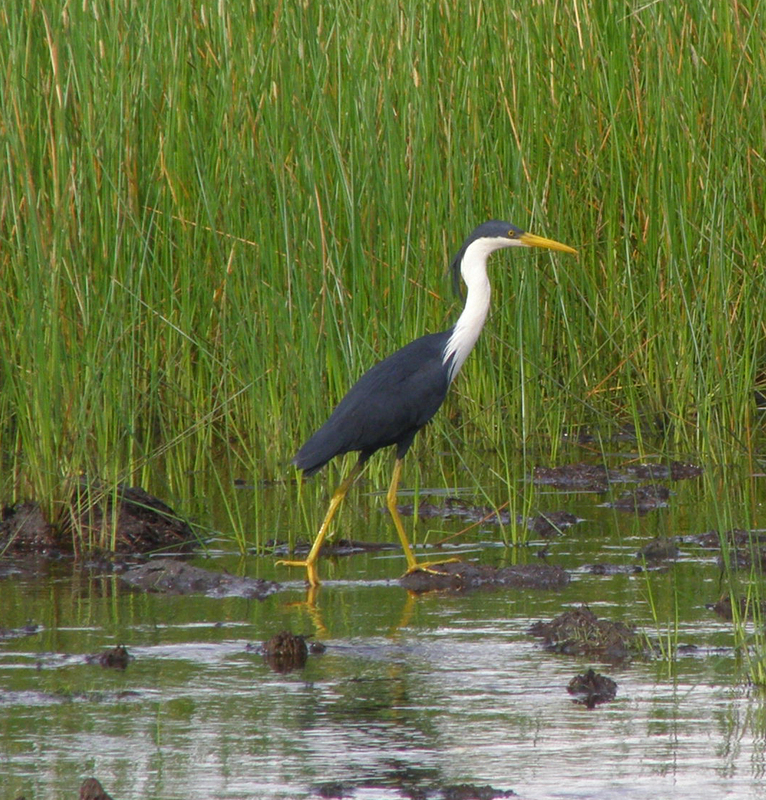 With their long spindly legs, these wonderful water birds are as graceful on land as they are in flight. 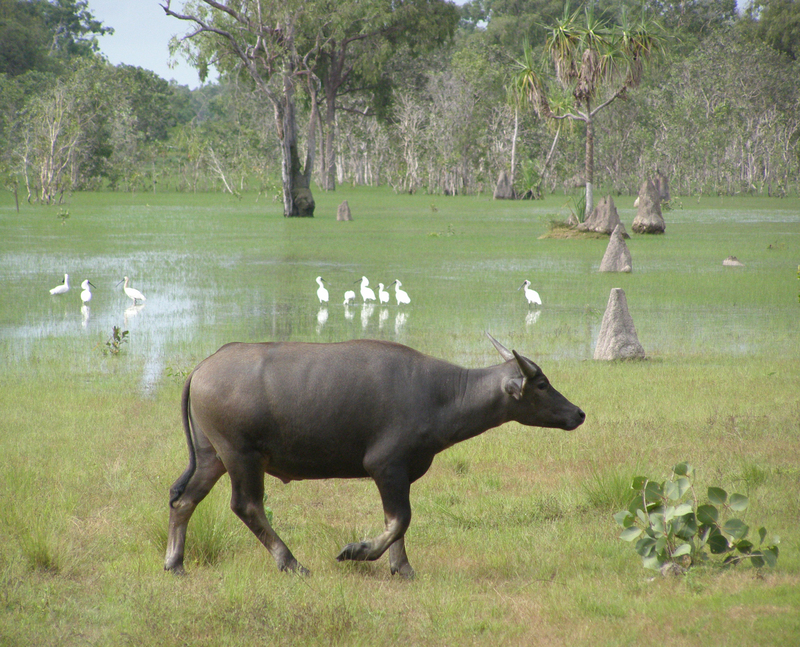 Asian water buffalo – a handful of the 5000 on the station – lumbered through the water away from the boat, graceful despite their bulk, and we spotted crocodiles, lurking low in the water. Asked to write about something “graceful”, birds came immediately to mind. 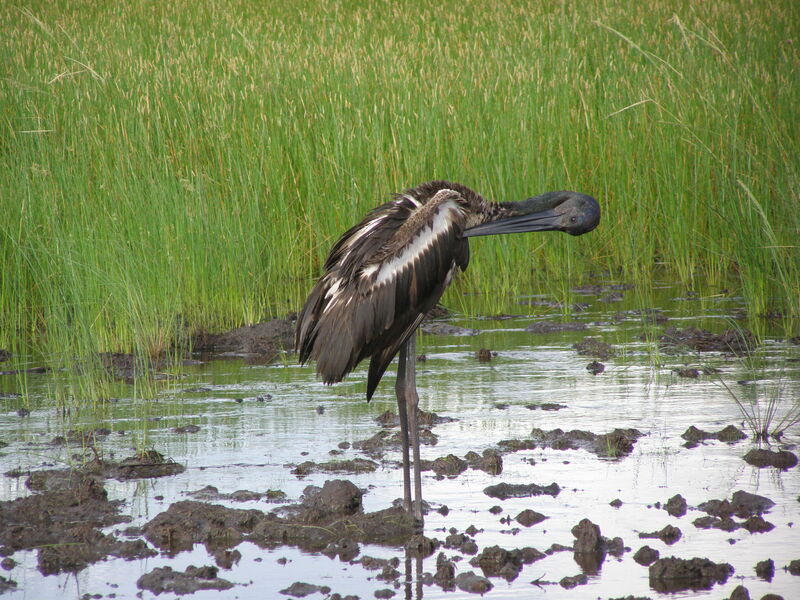 And there are few other places where I’ve seen such prolific birdlife as on this trip to the Mary River floodplain. A Glass Half Full travelled as a guest of the Northern Territory Tourist Commission. What a gorgeous spot and such prolific wildlife right on your doorstep. Oh yes…just a fabulous place. Highly recommended. Love it all! Except the lizard. A bit too large for my taste, but I’ll take seeing him through telephoto lens:). Mostly they are so lazy they won’t come near…but they can grow to about 1.5 metres long, so are pretty impressive.